This year, alongside partners Howick and KHS&S, StrucSoft Solutions will be running live the workflow from Revit > MWF > Howick roll forming machine > manufacturing by building a community clinic during the Autodesk University show hours. Prior to the show we will of designed and framed the clinic in Revit® using MWF Pro Metal. During the show we will output the entire project to a Howick machine to roll, punch and cut each stud live, assembling an entire clinic by show's end. Sponsored by the Autodesk Foundation, this clinic will be replicated by the Virginia Tech Center for Design Research (VT-CDR) and donated across areas in sub-Saharan Africa, where 1,000 more clinics are hoped to be produced. Working with locals, the VT-CDR team will provide the tools and training to integrate the automated production with local building practices. 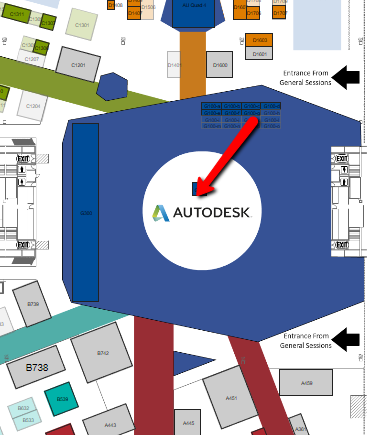 Find us in the main Autodesk Expo Area (G100 - see attached) where attendees will be given the opportunity to assemble a small steel structure, walk through a completed section of the clinic and watch another section being built! Be sure to check out StrucSoft's Director of Sales and Marketing, Brandon Ionata present: Factories, robotics and assembly lines, the construction industry's newest tools. Find him at the AU Theater located adjacent to AU's Community Hub Wednesday November 14 from 1:30PM - 2:30PM.